A few things floating around in the atmosphere prompt me to write today's blog which is to be about synthesizers and sound. Within the community of folks interested in these subjects there are all kinds of people. Some of these people are worth listening to and many are not. Just as some simply want to be popular, others are more thoughtful and purely artistic. Now the website Sonicstate.com recently published an article called Synthesis Innovation: Are You Sure We Can Handle It? in which the writer made the point that its not actually that easy to design a new synth that breaks new ground. We are, so the point was made, trapped in our conventional understandings of sound and synthesis. And, then again, if someone did make something new we might not like it... because its new and unfamiliar. People, in general, like what they know. This is very true in music and very relevant to Sonicstate.com which publishes a lot of gear reviews (mostly synths) and often the opinions given of anything new or a bit different are critical seemingly, to my mind, because the reviewer is a bit set in his ways. He wants something he knows it seems to me. Yes Nick Batt, I do mean you. 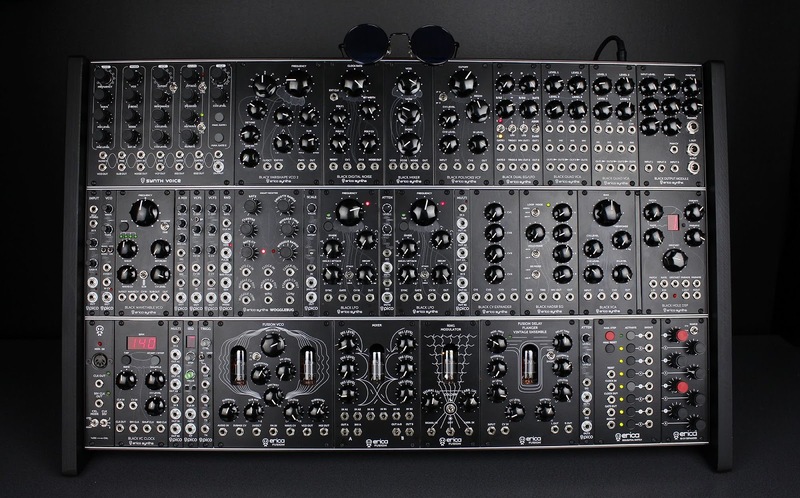 But regardless of the trials and tribulations necessary to create a new, groundbreaking synthesizer, something most of us will never be involved in anyway, there is a further question about new sound. And in the comments under this article the discussion turned more towards that. This is something I'm very interested in both as a music maker myself and as the host of the Electronic Oddities Podcast in which I often purposefully look for music no one has ever heard before and make a podcast out of it. I am greatly satisfied by doing this because, first of all, its exactly about finding something I've not heard before. Its about the refreshment that comes from something new. And I love this feeling that this music I'm hearing is not familiar, not using all the hackneyed old tropes and not something that could be played on TV or radio outside a dedicated show called "alternative" or something like that. A lot of this music is never going to be popular and certainly not mainstream. But that is its attraction. Its the attraction of the different. Its a counter culture. It is here you go if you want new, different, other, wild, crazy, alternative or strange. But yet when discussing this with regular folk such as one might find in public forums I become very frustrated because most people do not think this way. To most people music is a tune about 4 minutes long with singing involved if possible. This is the kind of music that is "commercial", the kind that "pays the bills". But, I ask myself, what has music got to do with paying bills? Well for some people, I admit, it has a lot to do with it. But this isn't necessarily so. Music is just arranged sound and silence at the end of the day and money has nothing to do with it. One respondent to the article I mentioned talked about the stock sounds that come with synthesizers and made the point that such sounds are used by "successful producers". But is being a "successful producer" a musical ambition or a commercial one? The two are not the same thing. Being a "successful producer" is what I would call setting the musical bar as low as humanly possible. There is a reason most successful musical acts are not known for their musical innovation. Of course, a few slip through the net. They manage to combine innovation and creativity with popularity. But mostly not. They are the front for a bank of producers and 15 song writers. In my view most really exciting and interesting music has barely even been heard. And you have to find it yourself. Now synthesizers are merely devices for making sounds. But it seems that often they make the same or similar ones. Of course, this problem will get exponentially worse as time passes because people will have more opportunity to make noises with them and they will, inevitably, tend to go down similar paths. There is a whole conventionality about this that I have already referred to and this becomes an issue if you want something new or different. Its for this reason that I have been a fan of modular synthesis, especially the Eurorack format, because here the building blocks of sound are broken down into hundreds of possible individual modules. No one manufacturer has any idea to what use you will put their creation or with what other elements you will combine it. The very format itself is, thus, pregnant with sonic possibilities. So I tend to think that when a new or "groundbreaking" synth is being discussed or pined for on synth forums that maybe people are missing the point. This new synth you want is right in front of your eyes. You just need to build it. It can be made of whatever is out there and these elements can be combined in any way you please. The results will be, at best, a fantastically exciting world of possibility. You just need to make the effort to create it. Surely this is an area in which "new" sounds can be discovered? I don't know what kind of music you regularly listen to but in the music I listen to, so-called experimental, noise, various kinds of ambient, avant-garde, IDM, etc., (all electronic) I hear lots of new, different and interesting sounds all the time. I firmly believe its not that there are no new sounds left to find, its that most people are just conventional, boring and totally unimaginative (music makers and listeners). "New sounds" generally won't be found in pop songs, chart music or things for general consumption. So if this is your musical diet I suggest you look elsewhere. And let me say that here "noise" is only a tiny part of what I'm talking about. "Sound design" is what I'm really talking about, the creation of atmospheres, ambiences and textures. Such music, and it is music, is as old as commercial synthesizers. I can refer you to records from 1969-1970 using synthesis to do just this. Those who read this blog or listen to my podcasts will know of examples of it that I've referred to before. Some synthesists, those I would characterize as at the more artistic end of the spectrum, have always wanted to make such music. You will note, of course, that in synthesizer music history there are instrumental synth albums that have sold in 8 figures (such as Oxygene by J-M Jarre). But then we need to remember never to confuse "good music" with "popularity". I make a weekly podcast of electronic music that showcases lots of never heard artists happy to just make their own thing unconcerned by popularity, fame or "what music makers want from instruments" which is a shorthand for the needs of boring, gigging musicians who wouldn't know creativity or originality if it left teethmarks in their backsides. If you produce for a mass market then you are inevitably compromised by that same market. Popular artists who make their "experimental" record often experience a dip in popularity as a result. And then go back to their formula for popularity. The problem here is that nearly everyone is happy to reproduce something that they heard before. Very few are unhappy with that and want to be completely different. I've lost count of the unsigned bands and artists who say they sound (and often advertise themselves as sounding) like somebody else you might have heard of. I sit there thinking "WHAT?" If you sound like somebody else then I might as well go and listen to them instead. Its fair to say that originality is not often in vogue with many. People are too conventional to be different. We see this also with the sounds that are put into synths, both the hardware and software varieties. These get used by multiple people so that the sounds become known. This is not necessarily all bad if you happen to like the particular sound but music is something, I think, which always needs to keep being refreshed. It is a human failing that it is all too easy to be lazy but in music it can also be rewarding to do everything yourself. Anyone who has a synthesizer has a device that can be used in multiple ways with the sole purpose of creating sounds. And these devices do not necessarily have to be used as intended either. The whole genre of Acid House comes from a use and abuse of the Roland TB-303, for example. This device was originally put out by Roland as a relatively tame accompaniment device for people who played other things. It allowed you to not have a bassist. But in the hands of inventive people it became the lead instrument for bass heavy dance music. These same inventive people, I think, are drawn to modular synthesis too because such people are driven by an artistic desire for the new or different. 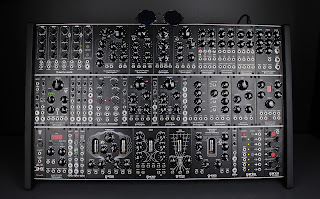 Their polar opposite, to my mind, are those who want to design a patch memory system for modular synths which, up until this point, have no way to save the sounds you make on them. Once the patch cords are removed your sound is gone. THAT IS A GOOD THING!! The problem is that even new things eventually become ossified over time. Roland itself now remakes its old instruments in digital format (including the TB-303 now reborn as the TB-03) and sells them as a standard. You are probably getting my point here that this comes down to a matter of mentality. It comes down to what music is for you. If its to make a career or to appease people commissioning music well then you have to give them what they think they want. These are limitations and, depending on your attitude to these things, maybe ones that are too much for you. But if you have more artistic freedom and a mind to wander then you are free to roam wider, disconnected from the need to appease anybody or anything but your own desire to roam across sonic landscapes and textures. This is what I do when I make my podcasts. These are good because they are not reliant on one person or their creative impulses. You can mix and match the tastes of many. But I must warn you Spotify-infested hordes that finding something new or different takes effort. It can't just be served up to you by some commerce monkey in a playlist. A big problem with this is how music is heard in the first place. You can search for yourself, a time-consuming process, and you will certainly find new, different and interesting things. But the vast majority don't search at all. They want to be spoon-fed whatever the mainstream gives them. Then they complain there's nothing new. Well of course there isn't! Those who make money out of selling music do so by serving up the same, the safe things, what people know. They wouldn't offer you something new and avant-garde. So my point is its up to listeners to seek out new and interesting music. It is out there. People, of course, have differing tastes. They always will. And none of this matters. We should know by now that there is no "good music" and no "bad music". There is only music I like now and music I don't. And even that may change for people's tastes can change. Those tastes are also not coherent or logical. I like glitchy IDM music but my childhood has also bequeathed me a love of some of the hits of Englebert Humperdinck (ask your parents or grandparents). I didn't choose to like any of this music. I just did. The fact is it doesn't matter what you like or why. There is nothing special and nothing to be gained by liking one thing over another. Its all just music. That said, the whole point of this blog has been that if you want new, as the original article I referred to was about, then you will only find new sounds as a music maker or new sounds as a music listener by either making them or searching to find them. There is no shortcut. You will get out in proportion to what you put in. 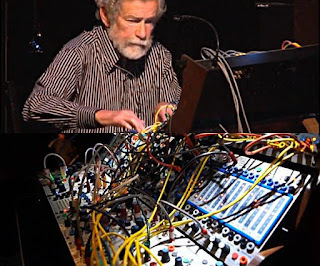 One man who I think knew all this was the recently deceased synthesizer designer and engineer, Don Buchla. He created many instruments, beginning in the 1960s, which were aimed to create new types of electronic music. He did many unconventional things at the time, such as not attaching a musical keyboard to many of his instruments, which forced their users to go a different way about creating electronic sound. He was a man who refused to compromise design for popularity. (Bob Moog, who was also a pioneering synthesizer designer, did add keyboards to his instruments and received many more plaudits - and sales - as a result.) He inspired not only many electronic musicians but many electronics engineers who now incorporate designs he inspired into their own electronic devices and so his legacy of innovation continues today beyond his own life span. He will be much missed. RIP Don. Point taken regarding the necessity of moving forward, quest for originality and left field music but (to serve a nonetheless noble purpose) you're devoting one part of the article to making it sound as if, on the other hand, making conventional music is necessarily and mostly a conditionned/lazy/cynical/career move, for the sole purpose of being popular and earn as much money from it as possible, by deliberately appealing to somewhat narrow minded average listeners. Well, this has been heard before (sic) and sounds a bit condescending to me towards a good deal of people, the way I understood it at least (sorry if I got it wrong !). I certainly agree with how mainstream audience (ie non music fans) behaves though, and how the industry produces and promotes things accordingly. But you are somehow implying it is the way most traditionnal musicians view things. There are certainly quite a few bad apples among "professionals" on top of the charts (and below) indeed. Nevertheless, for those few hundreds, there are countless musicians that have a profound love for pop (in the very large sense, not just the strictly marketed charts category), songs, melodies, structures, classic sounds (however much of each aspect they'll use in a particular genre). They are sincere and dedicated in trying to make their own version of it, for which they'll knowingly use more or less existing codes indeed, and without always trying too hard to be original, but definitely regardless of the fact that their output will find a substancial audience or not. Although they may, by comparison, have a better chance of gathering larger interest than experimental music will, the portion of those whose music will actually "pay the bills" nowadays is probably nearly as negligeable on a global scale and they don't deserve to have their artistry questionned IMHO, they just express it in the way they arrange familiar existing codes in perhaps a specific way, as opposed to creating new ones. There will definitely be a lot of uninteresting music and failed attempts in there (as you said, that's highly subjective, also regardless of success or how cynical the composer is), but in the end that statement most probably applies to an equal degree in more experimental music. As much as conventional music can be pleasingly familiar it's just perhaps also easier to spot something you don't like or you're fed up with in a given piece. In the end, for a musician, it's probably just as glorious to succeed in making a good pop song as it is to explore uncharted sonic territories with less pre existing and collective notions altering your judgement and other's. Apart from that bit, that is not to say that your point wasn't important ! Countless musicians have a profound love for pop (in the very large sense, not just the strictly marketed charts category), songs and melodies and are sincere and dedicated in trying to make their own version of it using mostly existing codes indeed. Oops, some of my long development was re-copied in the end so please discard it, sorry !